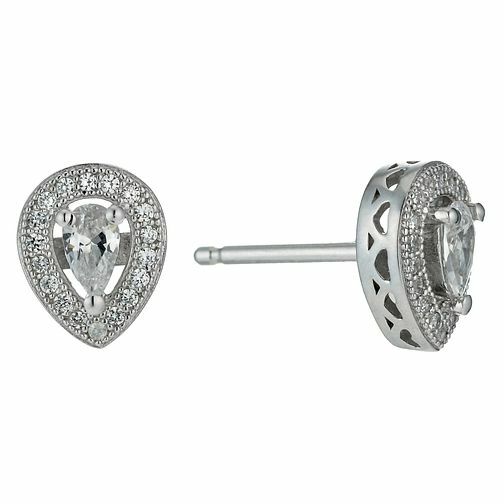 A beautiful pair of pear drop studs crafted from sterling silver and set with sparkling cubic zirconia. Finished with a glittering halo and delicately cut out sides, this is an elegant pair of earrings perfect for a subtle dash of glamour. A stylish collection of simply designed silver jewellery.